This arcade classic was first released over here in 1987 by Nintendo themselves in the arcades and it was a single quarter stand up arcade shooting game in deep space. So what was so special about this game anyways: the near impossible difficulty, the eerie space music, the new and revolutionary charge BEAM weapon, and the original and amazing style. To put it simply: R Type is one fantastic game. The story is about the lone mission of a sole surviving R-9 spaceship on a quest to destroy the evil Bydo Empire that threatens the entire galaxy. The Bydo Empire has already ravaged some peaceful worlds in only a short matter of time so have no choice but to go into deadliest parts of the now conquered areas. You have 8 stages to learn and master if you hope to kill the Bydo leader itself and it won't be easy. 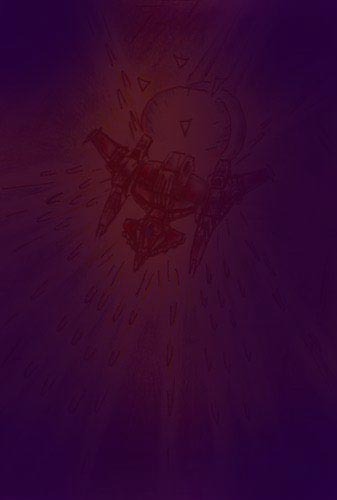 Unlike other shooters, R * Type forces you to think and plan how to pass a level, for example; in stage 3 you have to avoid being crushed by a huge battleship by learning the pattern on how its going to move and in level 7 many enemies will appear from behind to attack so the placement of your Force pod is key to survival. "This is one tough game with a lot of traps!" When the game starts you'll notice your R-9 comes equipped with a special weapon not found in the usual shooter. If you hold down the fire button your Beam gauge will fill up below and now you can fire a powerful blue plasma shot. This is a great technique for killing some of the bosses and bigger enemies here. Thankfully your R-9 can get some awesome weaponry to help you on your difficult mission. First there is the Force Pod, this wicked device not only guards your ship from most attacks by attaching itself to the back and front of you ship, but it can also fire three different weapons. Each of the three multi-coloured weapons works differently; blue is the reflect laser and is great for taking out a large group of enemies and may be the smartest gun to use in the game but it also the weakest weapon, yellow fires snake-like lasers upward and downward to the ground and ceiling and is good for defensive reasons but it's useless in some level (like level 5), and finally the red weapon is a powerful circular laser that has half the power of a fully charged Beam shot and is a great weapon for the R Type pro's out there. No other video game looks quite like this! "I love the graphics in this game" The absolutely huge bosses you have to wear down, the funky techno look of stage 6, and lots more just add a unique style that gives R Type so much personality. "R Type looks so cool that I think it would make a great looking Sci-fi movie!" The sound also works well for the feel of the game and the music in stage 7 (the ruined city) is hard to get out of my head and fits perfectly for that eerie level. The realistic sound effects are also effective and unique (like the alien worm going inside its base). R Type is easily one of the most original games of the late 1980's and it's well worth playing it to just to see all the exciting levels this game has to offer. One minute your fighting other space ships in a cell invested space and then the next level you’re blowing up alien snakes in an organic tunnel. It can be pretty annoying when only one hit can kill you and you have to start again with nothing here but if you have the guts to play it you'll find R Type to be very rewarding. Find R-Type on eBay here!